California Is Me. California Is You. California is ALL of Us. 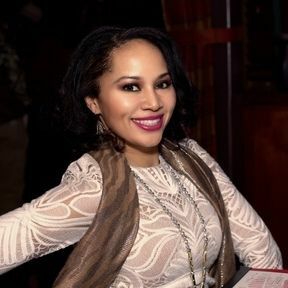 Queen Calafía of California welcomes you to the lifestyle of strength, hard work, beauty and courage! Slay ladies and men! !Bienvenidos mami and papi! During MLK-Black History Month-Women's Month, enjoy discounted prices. If you don't love yourself first, no one else will. Our E3 model: Educate. Empower. Embrace. 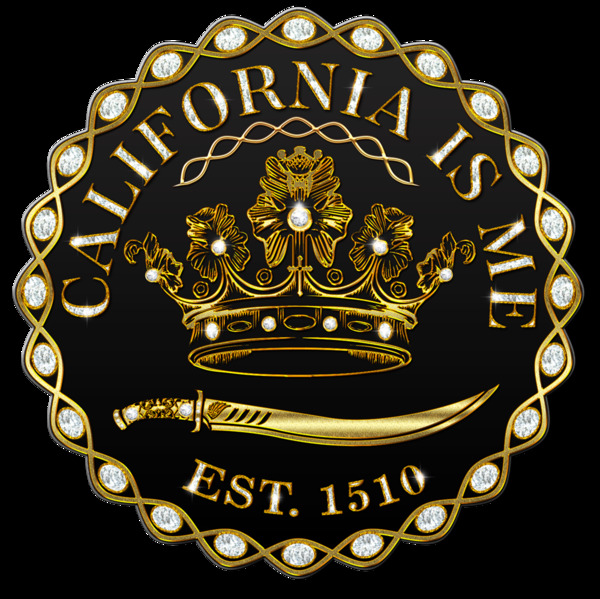 When we arise and come into knowledge, we can begin to re-educate the masses of the real primeval history of California. We love American and black history and think this history should be taught, embraced and not hidden as it is truly a unique and beautiful conceptual storyline - the makings of Wonder Woman®. (See www.caliisme.com for the history lesson - the California women warriors were the originals and act by pressing the "sign" button). When we show love for Queen Calafía-ruler of California and her California women warriors, we can start to teach and show others, without saying a word by wearing a simple T-shirt. This line is a visual representation that we have come into knowledge and are aware of the ancient history and our integral part in it that has made America great! 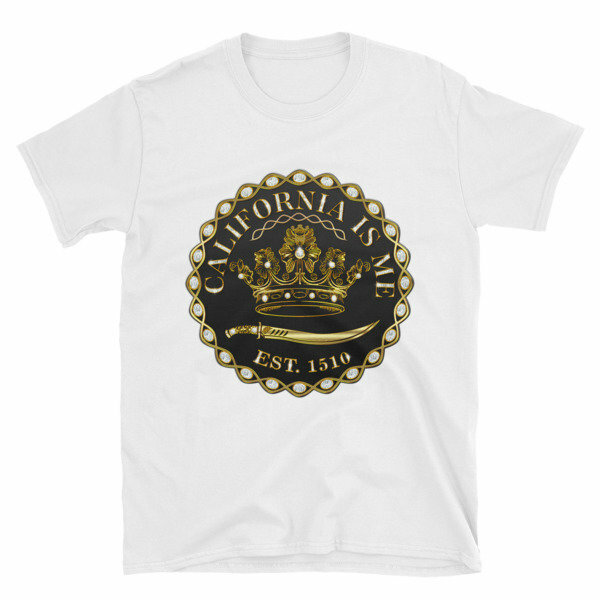 Represent the real knowledge of California and do it making a fashionable statement! Stay encouraged, Beautiful Queens, Strong Kings! Step into knowledge in a beautiful way. Peace and love your image. The California way! RETURN POLICY: FINAL SALE on ALL items. There are no size or color exchanges. Buyer's remorse is not accepted under any circumstances. For packages lost in transit, all claims must be submitted no later than 30 days after the estimated delivery date. Thank you for understanding your items are products on demand. Thank you for your support and understanding. Slay or give it away! *a portion of the proceeds of the sales will go to STEM to encourage critical thinking and law students who fight for justice for Queen Calafia. California Is Me! Accepted my name, now accept my image. Once I heard and researched this story, all kept asking, "What are you going to do about it?" Well, I think this is a fun way to step into the Information Age and grab attention on the topic in style. I am passionate about this hidden fact-that California means an island of black women warriors, to match its curvy coasts. So it was obvious my team and I had to celebrate this fact and follow Queen Calafia's steps. Join us! Únete a nosotros! Slay barriers fashionably! RETURN POLICY: FINAL SALE ON ALL ITEMS. THERE ARE NO SIZE OR COLOR EXCHANGES. BUYER'S REMORSE IS NOT ACCEPTED UNDER ANY CIRCUMSTANCES. FOR PACKAGES LOST IN TRANSIT, ALL CLAIMS MUST BE SUBMITTED NO LATER THAN 30 DAYS AFTER THE ESTIMATED DELIVERY DATE. THANK YOU FOR UNDERSTANDING YOUR ITEMS ARE PRODUCTS ON DEMAND. THANK YOU FOR YOUR SUPPORT. SLAY OR GIVE IT AWAY!